Using a Public/Private key to authenticate when logging into SSH can provide added convenience or added security. The Public/Private key can be used in place of a password so that no username/password is required to connect to the server via SSH. Instead the unique public and private key provide the secure authentication. The keys may also be generated with a different password from your cpanel password if desired. In the FastDomain cPanel click on the SSH/Shell Access icon under the Security category. Open the Manage SSH Keys tool. Click Generate a New Key and complete the fields shown. We recommend the RSA key type and a 4096 bit key size for maximum security. The location of the newly generated public and private key will be shown as well as the key fingerprint. Next to the Public Key you generated, click Manage Authorization then click Authorize to activate this public key. To the right of the Private Key, click on View/Download. Then click the Download Key button. Save the file to your computer and click go back. You may now use the private key saved on your computer to SSH securely to our server. 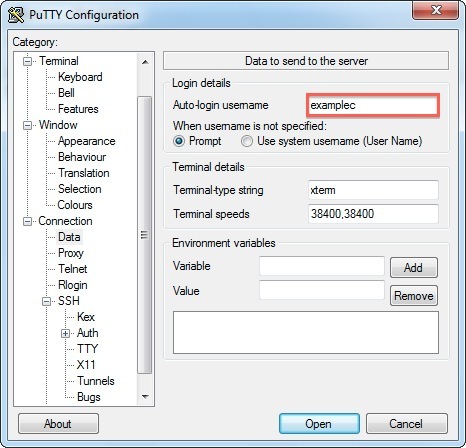 If you are using PuTTY, please see the configuration steps below. Locate the private SSH key that you have downloaded. Note: You will need choose to display All Files* from the menu to the right of the File Name field. 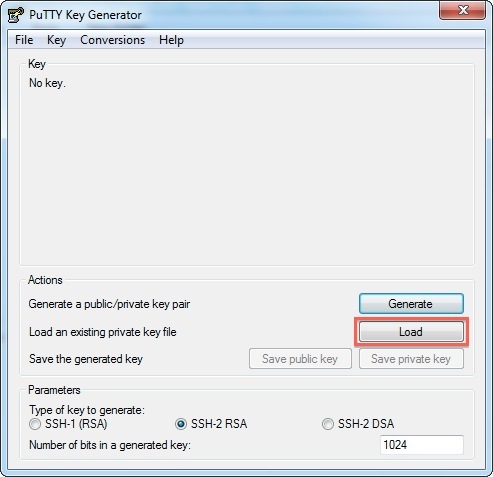 Click the Save private key button to create the ppk file. Under SSH -> Auth, you will need to specify where your private key can be found. Remember this is where you saved the private key on your local computer. Click Browse to locate the file on your computer. Under Sessions, type a name (such as "my site") in the Saved Sessions box and click Save.